Each day this week I will focus on some favorite songbirds that have entered and become part of my life here on Turk’s Mountain. Each of them have informed me and made my life fuller. I salute each of them with this small recognition. The size of a chickadee, some say the House Wren is plain brown. I say that this beautiful little bird is every shade of brown and with its energy-filled, exuberant song is the fiercest of competitors. It is reported that they add spider’s eggs to their nesting materials to fight off mites and other nest parasites. 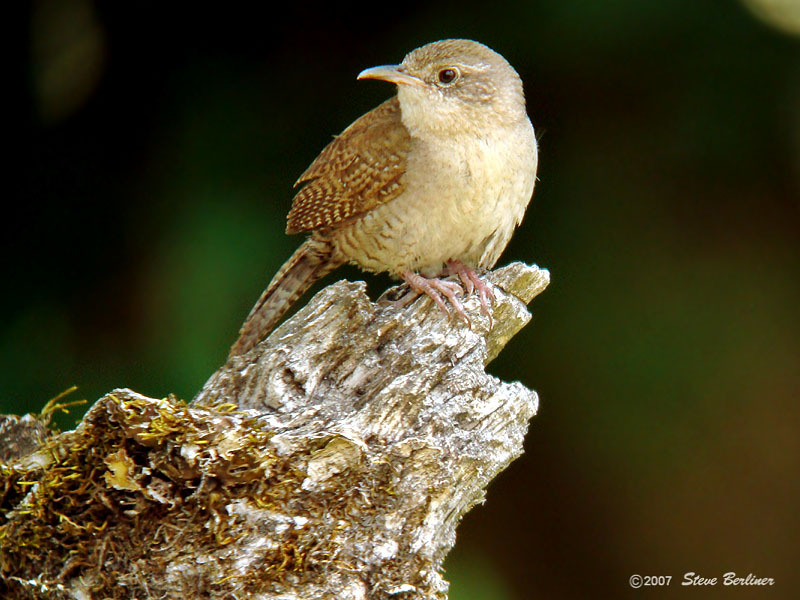 Like the chickadee, the House Wren also is a cavity nester and will use a bird box. Like the American Robin and Barn Swallow, the Phoebe prefers an open-fronted nest. I had them use one of my open nests on the side of the equipment shed last year. While they winter to the South, I see them frequently in the warmer months as they are constantly entering my barn and require assistance to exit safely. 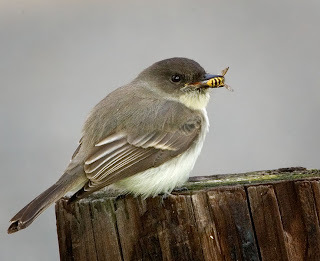 The Phoebe, a type of flycatcher, is named after its song fee-be.